An Admiral never makes suggestions. The Admiral of the Navy (abbreviated as AN) is the highest possible rank in the United States Navy. The rank is equated to that of a six-star admiral and is currently one of the two highest possible operational ranks in the United States Armed Forces. What do you think his subordinates infer from his suggestion? It wasn’t a suggestion, it was an order! Even though it is highly possible that he (or she? 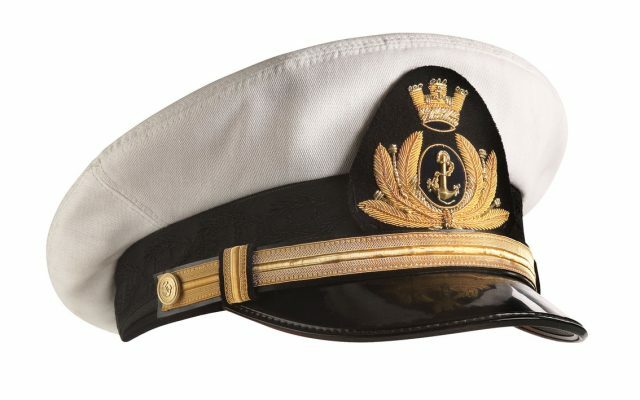 Are there female admirals? If so what are they called?) actually meant to simply suggest something, the reality is that if his ‘suggestion’ is carried out and goes wrong, then it was ‘the old man’ that ‘told us’ to do it. The corollary is also true. The ranks choose NOT to take on board the ‘suggestion’ and something goes wrong, something that could have been avoided had the ‘suggestion’ been acted upon. “What’s the problem?” I hear you ask. Yes, your ‘suggestion’ adds to the original idea BUT, the chest is retracted, the shoulders slump and a wan smile of resignation flits across their face. You see your ‘suggestion’ adds to the original idea, but only marginally, let’s say 5%. The problem is that the subordinate’s enthusiasm for implementing the idea has waned by 50%! It is no longer their idea, but yours! Admirals don’t make suggestions! Wouldn’t it be better to allow them their moment in the sun, clap them on the back and watch them flourish? That’s how you develop people. Let’s imagine for your ideas, your decision-making prowess, you would score yourself 9 out of 10 on average and that (in your opinion) your key reports’ decision making skills fall short at say 8 out of 10 for one and 7 out of 10 for another a combined score of 15 out of 20. Now let’s imagine the speed of development of your business is determined by how many quality decisions are made (which by the way happens to be true) and every time you retain the decision making crown, the business moves forward 9 out of 10 possible paces (I trust you are getting the picture here) over the course of a period of say a year with one decision per month you move forward 108 (12 x 9) paces out of a possible 120 (12 x 10). If on the other hand you empowered your key reports to make decisions, what might it look like? That, my friend is a full 67% further than you would have gotten by not empowering them in the first place. What if all three of you made decisions (in your different areas of responsibility)? A full 167% further than if you wore the decision-making mantle alone! How do you do it without endangering the enterprise? Start slowly. Allow your key reports to recommend decisions to you before implementation. Ask them, if I weren’t here, what would you do and listen carefully to the answer. If there is no inherent danger with what they propose, let them off to do so. They will take full ownership and you will get the best possible result. Then practice MBE – Manage By Exception. Do not micro manage anyone. Micro management is a crime against creativity. Remember people do not leave jobs, they leave bosses! So if you want to retain great people, let them off to be themselves, assuring them that you are their safety net should things get hairy! “The Big Rock” is the element of your decision-making process that needs most work now. You need to figure out what The Big Rock is, which aspect of your your decision-making process needs the most work – is it listening? indecisiveness? delegation? patience? something else? Regardless, pick one. Pick the one that if strengthened would have the biggest positive impact on your career or business. Then ask “The One Thing” question. This will help you take incremental steps, make incremental improvements week by week for the year. “The One Thing” question is very powerful. Ask yourself what One Thing you could do this week that would have the biggest positive impact on that Big Rock. More… if you’ve enjoyed it and you think someone else would benefit, I’d be delighted if you would pass the link on. If it’s your first time here and would like more of this type of stuff, pop to my homepage and leave me some details and I’ll make sure you get a link like this on a weekly basis. Most importantly please consider what’s been shared here and apply it into your thinking in this next week and then equally as importantly, come back next week and we’ll share another coffee together and I will ruminate on some other aspect of life and business. Between now and then grab some good coffee, get some fresh air, get some R&R. If you spend a lot of time alone, I recommend you go meet some people, conversely if you spend a lot of time with people, I recommend you spend some time alone. How To Be A Dream Doer (Or how to make 2019 work better than 2018) – click here. Many people live their lives like they read a novel – waiting to see how it all turns out. WRONG! – click here. #1 The Number One “Coffee with Colm” of 2018 – “Think and A.C.T. Rich” (or why just chasing the almighty dollar isn’t making you happy) – click here. Hi Teri. Glad you enjoyed it and thanks for sharing it on.